For a country of its size, Kenya sure packs a lot in: mountains and deserts, colourful tribal culture, beaches and coral reefs, and some of Africa's best wildlife attractions. Wildlife safaris have been the mainstay of Kenya's tourism for decades, and several Kenyan parks are among the best places in Africa to see wildlife. Kenya is located in East Africa and is a beautiful and diverse country packed with attractions to entice visitors from all over the world. Famous for its native wildlife and Safaris, Kenya also has a whole lot more to offer including great beaches and coral reefs, challenging mountains, rainforest, desert and colourful tribes. Kenya has some of the world’s best wildlife parks and is one of the best countries in Africa to see lion, leopard and elephant. Kenya’s main international airport is located in the capital, Nairobi. Popular with visitors wanting to discover Africa's incredible wildlife, there is a superb choice of airlines which fly into Kenya such as KLM, Qatar Airways and Emirates. For direct flights to Kenya, choose from Kenya Airways, Virgin Atlantic or British Airways. Head to one of Kenya’s many National Parks to get up close to the incredible African native wildlife. 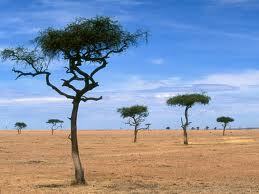 Tsavo is Kenya’s biggest with dramatic scenery and fewer visitors due to its remote location. Amboselli National Park is famous for its huge elephant population and its incredibly beautiful location close to Mt Kilimanjaro. Masai Mara is Kenya’s most famous park with miles of rolling grasslands, a superb big cat population and renowned for its annual wildebeest migration. The northern parks of Lake Nakuru and Lake Bogoria are perfect for bird lovers with their large flocks of flamingos and eagle population. 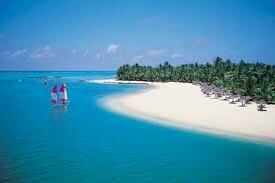 Explore Kenya’s coastal resorts of Mombasa and Malindi for tropical white sandy beaches and great diving and water sports. The island of Lamu is also worth a visit for a step back in time to Kenya’s traditional Swahili heritage, wood carvings, winding streets and glorious beaches. Our flight comparison search facility here at Directflights.com can find you the best deals on cheap flights to Kenya. We recommend that you travel outside of the busiest times of year to find the cheapest flights available. Low cost flights can usually be found if you plan in advance and book early. If you are planning a spur of the moment trip, we can also find you the most competitive lastminute flights. Kenya's climate varies from tropical along the coast to temperate inland to arid in the north and northeast parts of the country. The country receives a great deal of sunshine all the year round, and summer clothes are worn throughout the year. It is usually cool at night and early in the morning inland at higher elevations.